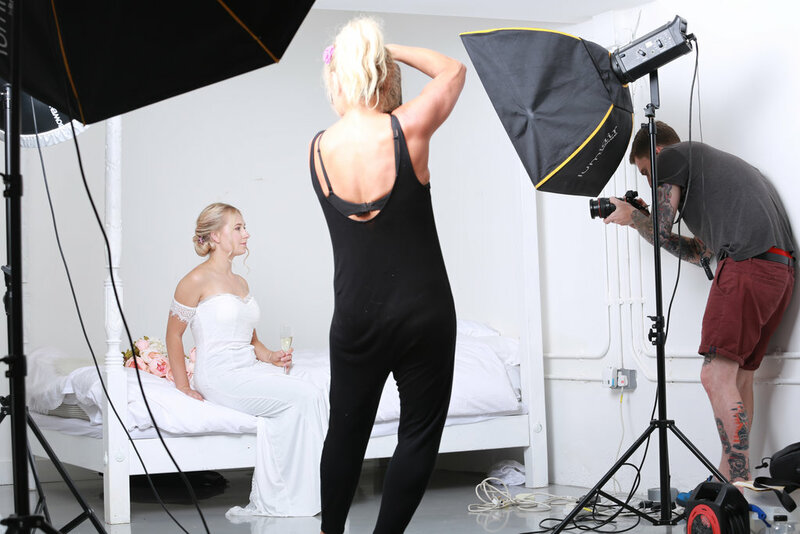 As a make-up artist and bridal hairstylist, winning at Instagram is one of the best ways to get your work seen. Free, global and simple! You can reach an audience that you would never usually have access to. But how do you stand out? How do you get YOUR grid noticed? 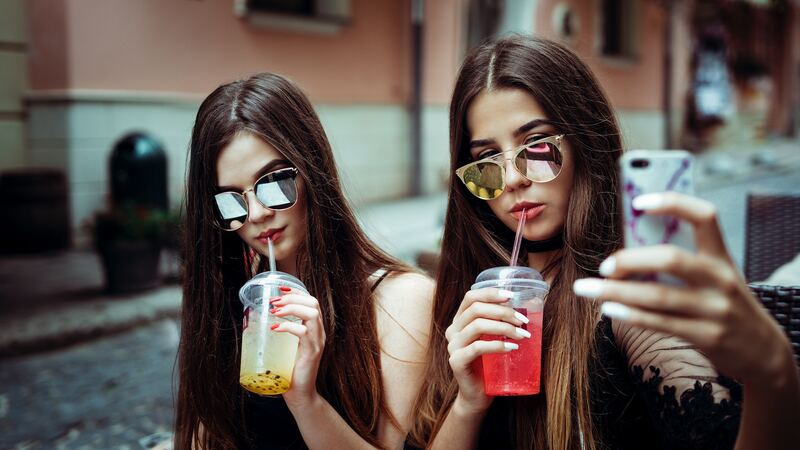 We’re going to share with you 6 easy ways you can make your Instagram blow up. The easiest way to get your Instagram noticed is by reaching out to like-minded accounts. Follow, like and comment. By engaging with accounts similar to yours, by responding to comments left on their post, you’ll likely find that your follower count will steadily rise. Don’t waste your time chasing followers that aren’t into what your account is about – although it’s great to have lots of followers, engagement is much more important. Make sure you target people that will want to see what you’re offering and who will like your posts. 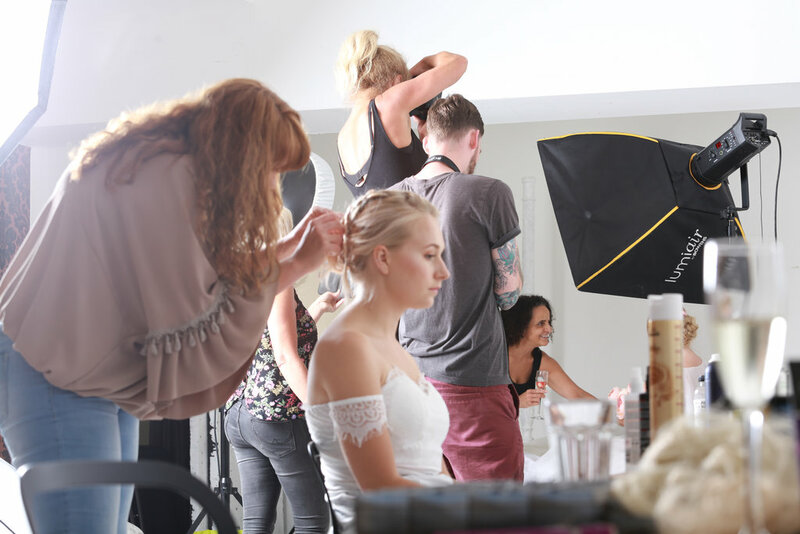 Contact bloggers and well-known Instagrammers from your local area and offer them a free hairstyle or makeover in return for photos being shared on their feed. If you can get an endorsement from someone with a ton of followers, you’re sure to see you account explode! Reach out to local wedding planners/venues – remember, to be successful concentrate on networking with people who are relevant! The more you participate in the Instagram world, the more human your account will feel. It’s all well and good networking, but to make people want to follow you, you have to stand out! Go bold with the styles you post, throw in some out of the box ideas and only ever showcase your best work. Always consider the way you’re presenting your posts as a whole. Don’t just think about the posts as individual images, think about your grid more as an overall album. Choose a theme, stick to similar filters and create flow with a colour palette. You want an image you post to be instantly recognisable as yours with a signature look. Keeping a signature look going throughout your feed will give your account fluidity and integrity. You are showcasing your creativity with your hair and make up styles, so let your Instagram reflect this. Try and trigger and emotional response with your post if you really want to connect by sharing news and asking for feedback. It’s all about engagement. Whether or not the world of hashtags is new to you, it is important to know that there is a clever way to use them! Pick carefully. Don’t use hashtags that are too common otherwise you’ll find your posts are getting lost amongst hundreds of other posts. 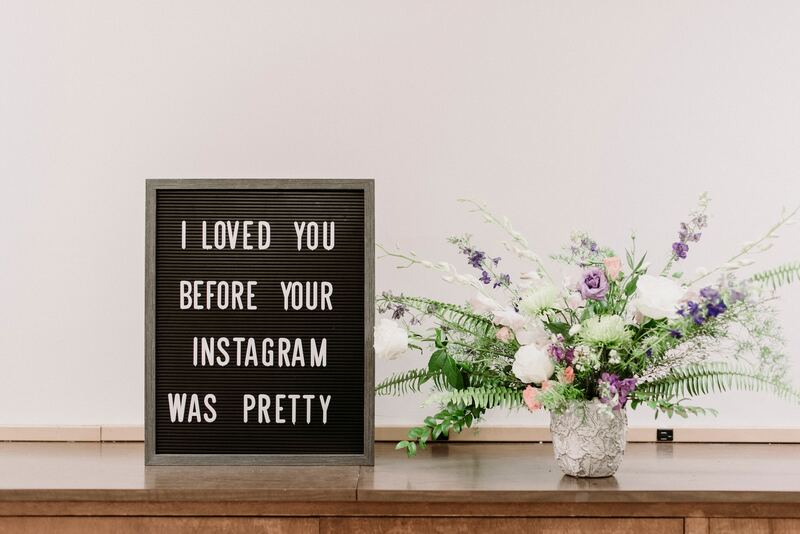 Use relevant tags and use them sparingly, for example, if you’ve been at an event like a wedding fair use a hashtag to connect with others who also attended. Tag in the organisers or the venue. You’ll find that people who saw you at the event will be reminded of your work. You can also use hashtags to mention great products you’re using as another great way to bring like-minded traffic to your page. Regularly search hashtags to stay up to date and on trend. You may discover a thread you weren’t aware of which will open up a whole new group of followers! Make sure you post regularly, but don’t go crazy and spam the feed. If you don’t post often enough, your followers will lose touch but if you post too often, they’ll get fed up and may unfollow. It’s all about balance. Posting once or twice a day is great but always quality over quantity! It’s also a good idea to be consistent with the types of posts you put out. If you only ever post photos of your work but then throw in a photo of your avocado on toast, you risk confusing your brand. Think about the image you want to create, and stick to it. Keep your aesthetic at the core. 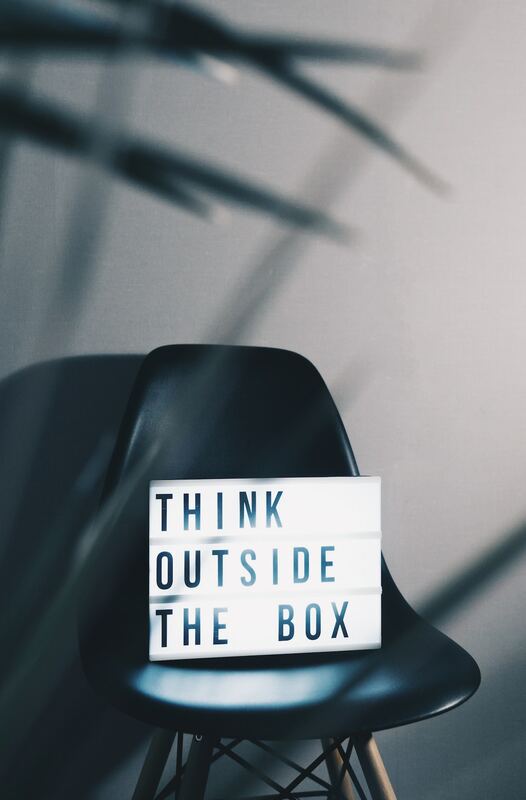 You want it to be obvious what your account is ‘promoting’ without selling – you want your audience to quickly connect with your content and know right away that they love what you’re doing enough to follow! Think about the time you post. Posts uploaded in the early hours are likely to be missed, so consider when your target audience is most likely to be scrolling through their feed and then go for it! Collaborate with similar accounts and give them a shoutout for one in return. If you have a similar audience, you’ll find that their followers will soon become your followers too! Be sure to ‘promote’ accounts you genuinely like and feel your audience will too. Don’t risk alienating your followers with random shout outs or shout outs to users who don’t have the same ethics are you. If you already have a following on Facebook or Twitter remember to promote your Instagram there too. You’ll likely gain a small following of friends and family to get you started. Don’t be shy in asking them to share your account with their friends and family. They’ll be happy to help and its free publicity! 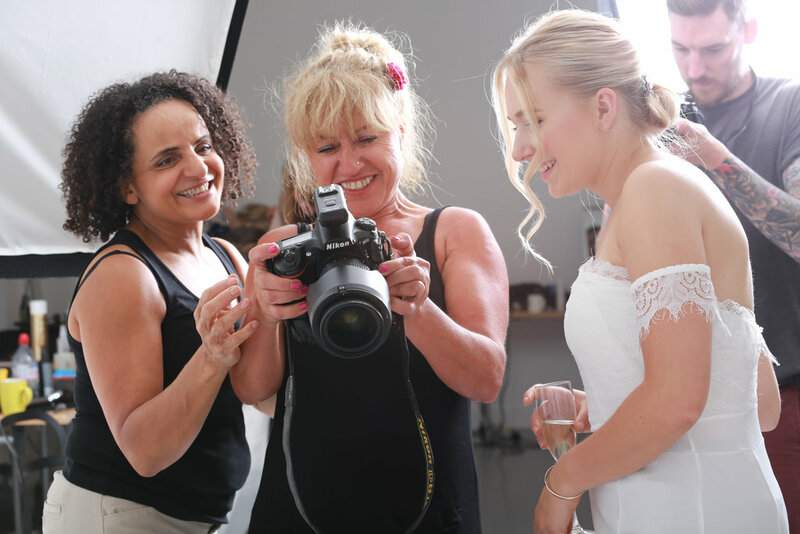 Speak to brides you’ve worked with and ask for a mention in one of their posted wedding photos – this is another great way to get your work seen, particularly by prospective clients. Your username is more important than you might think. This must represent who you are and what you do, so people get the idea at a glance, but at the same time it must be interesting enough to make them take notice among all the others. If you want to invest a little money into promoting yourself, you can use Instagram to help you get extra followers or engagement. Simple to set up and with the option to set a budget, you don’t have to worry about expensive advertising costs. By following those 6 easy tips you’ll be sure to become a successful instagrammer! Read our blog How to Take Instagram Worthy Photos for more amazing tips! Once you’ve built up a following, you want to do everything in your power to keep them! Other than all the tips above, the work you choose to feature is just as important. Try to keep your feed full of photographs that really show off your skills. Every single image counts – think of it like a shop window, or a portfolio. One dud image can put potential clients right off. Other than being great at what you do by training with us here at Create Beautiful Hair, the best way to grab attention and keep it is to display beautiful looks that are hot right now and trending. To inspire you, we’ve put together a list of Instagram worthy hair and make-up ideas you can play around with to really take your feed to the next level! Yes, kind of weird, but ‘Hair Hoops’ are huge this summer. Metallic everything is back in a big way again this season, so this is unusual way to add accessories to a look is a unique take on bringing some extra stand-out shine to your bride. Be creative and experiment with different sized rings and different colours to find a look to suit your bride. 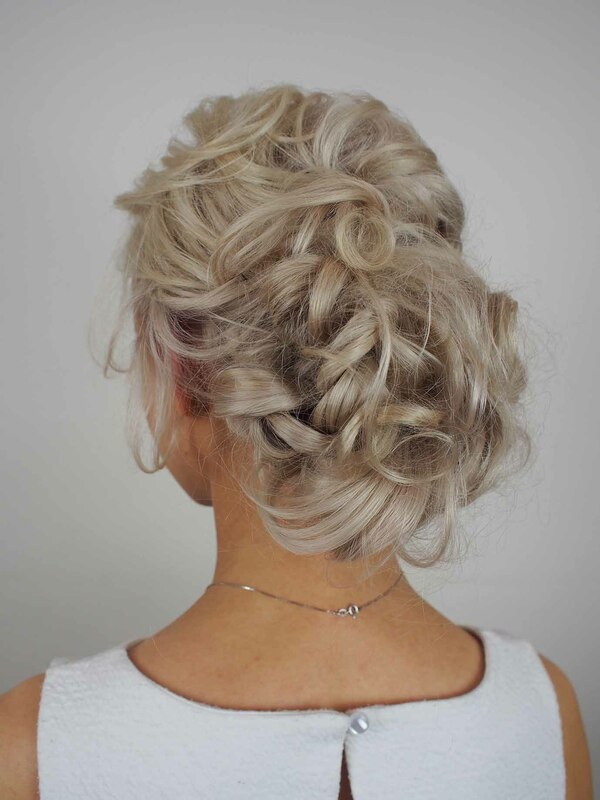 This is a very bold look so you need to choose the right sort of bride, but paired with a beautiful braid, it would a be mind-blowing bridal look! 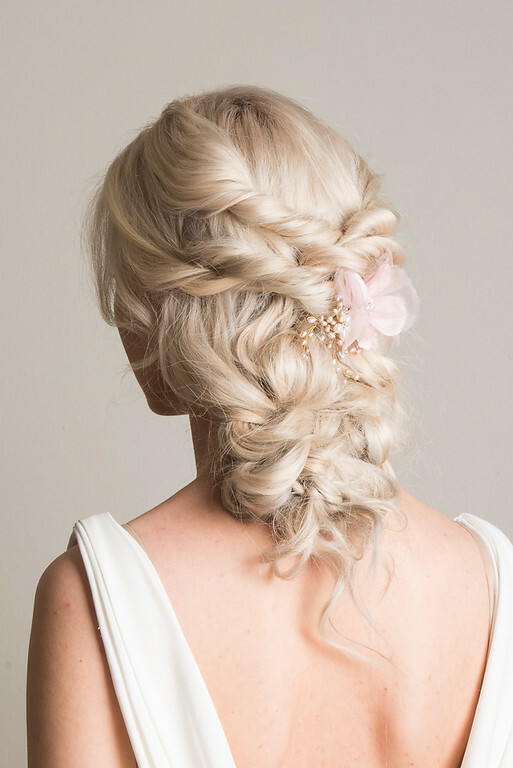 It can be tempting to play it safe with hair colour for a wedding day, but beautifully soft pastel hair can look incredible with the simplicity of a white dress. Pastel pink, pale purple, mint and cool grey could be just what your bride needs to make her feel like the star of the show. For the alternative bride, why not suggest some hair chalks at the trial? Nervous about trial runs? Find out how to ace them here. Now, this may work best for a wedding themed shoot rather than for an actual wedding day, but to really get people talking about your work go super edgy with a graffiti lip. You can keep it fairly subtle and opt for a rainbow design or go full wedding day extreme and have ‘I do’ written on the lips. Another Instagram favourite is face glitter – you can keep it subtle or go completely over the top. 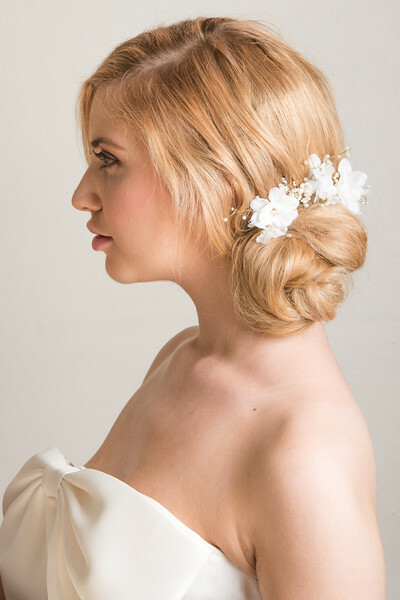 If your bride has opted for a festival-style wedding then you could definitely make it work. Or think about a second look for the evening – a super fun way to go from ceremony to reception! Be true to your brand and keep your loyal followers interested. 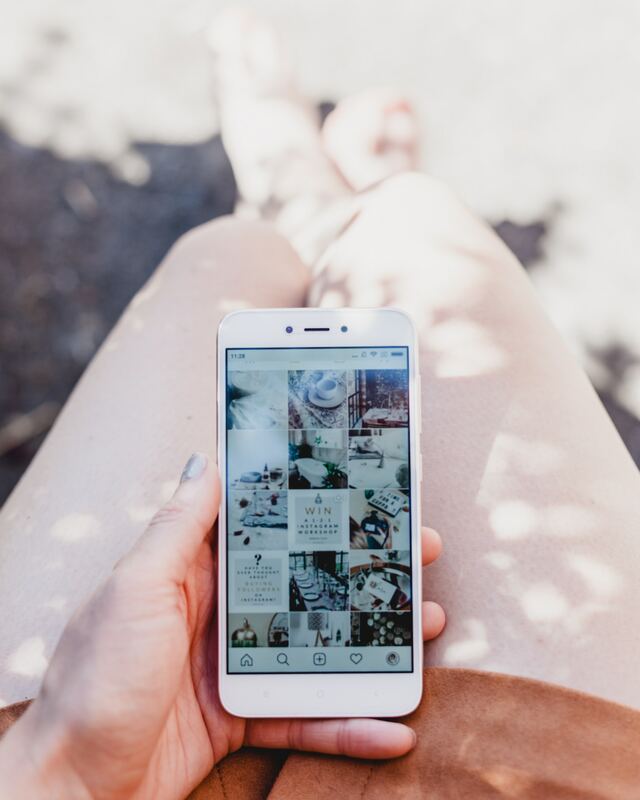 A strong Instagram following can be life changing for a small business. Be brave. Be bold. Be different!